Andy Murray revealed his hip was causing him so much pain it hurt to put shoes and socks on. Speaking at a news conference in Melbourne on Friday, the British three-time grand slam champion said he would retire no later than Wimbledon. 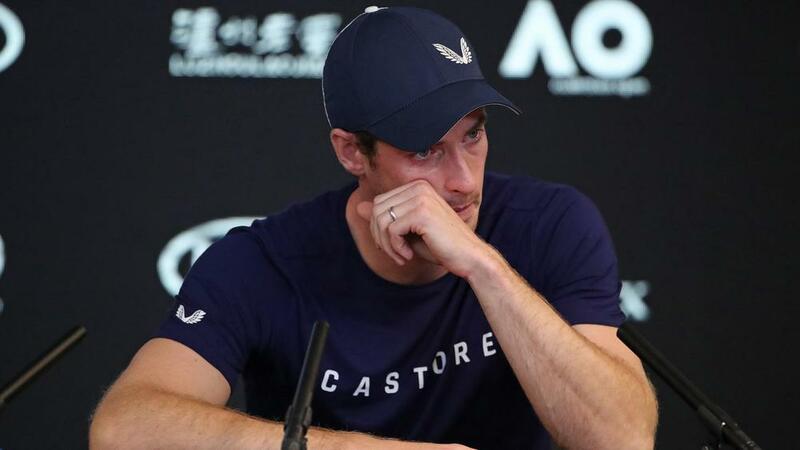 Murray will play the Australian Open and admitted it could be his last tournament as he struggles with his troublesome hip despite surgery last year. The 31-year-old said another operation was an option, but that was more likely just to improve his quality of life. "You guys see me running around a tennis court and walking between points and I know it doesn't look good and it doesn't look comfortable," Murray said. "But there's little things day to day that are also a struggle and it'd be nice to be able to do them without any pain, putting shoes on, socks on, things like that. That's the main reason for doing it. "If I was to have an operation like that, I would rehab correctly and do it properly to give my hip the best chance of being as good as it can be, but I'm also realistic in knowing that's not an easy thing to come back to or play professional sport at a high level." Murray revealed he had been speaking to 23-time grand slam doubles champion Bob Bryan, who underwent a similar operation last year. However, Murray ruled out playing doubles and said a decision on his future was made in December. "I can still play to a level, not a level that I'm happy playing at, but also it's not just that, the pain is too much really and I don't want to continue playing that way," he said. "I think I've tried pretty much everything that I could to get it right, that hasn't worked, so middle to end of December during my training block, I spoke to my team and I told them I can't keep doing this and I needed to have an end point because I was just sort of playing with no idea of when the pain was going to stop and I felt like making that decision. "I said to my team, 'Look, I think I can kind of get through this until Wimbledon, that is where I would like to stop playing.' But I'm also not certain I'm able to do that."